I personally do not prefer the artificial options like cosmetic surgeries, unless it is absolutely necessary. Firstly, because cosmetic surgeries are damn expensive and secondly, if anything goes wrong, then you might have to suffer from the side effects forever. Thirdly, cosmetic surgeries are not always safe and require you to remain under medications for long time, which may have harmful effects on your health in the long run. Hence, the natural home remedies are the best solutions and in this case as well, there are many homemade anti-aging face masks and face packs that you can easily make at home. You can make and apply these masks and packs on your own and apply it to fight various signs of skin aging. These homemade remedies are pocket friendly, safe and does not need much of the effort on your part. 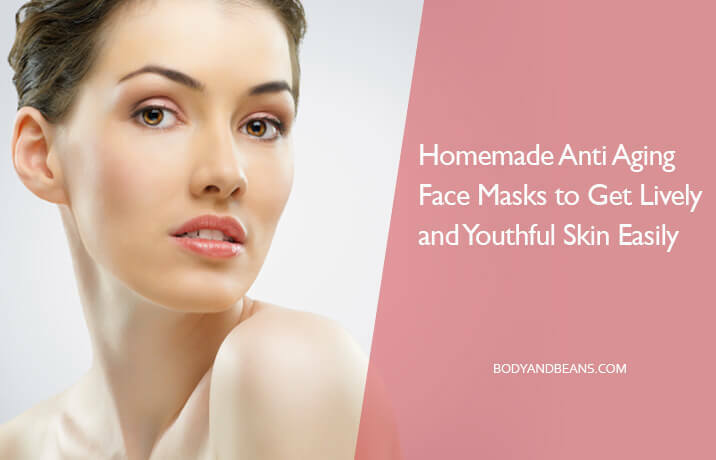 Also the ingredients used in these homemade anti aging face masks are usually available in your kitchen. And if the ingredients not readily available in your kitchen, then you can source these easily from the local market. If you are tired with your aging dull skin, the first thing that must come to your mind is to fight it out naturally using natural home remedies. Today, I will be talking about some of these amazing homemade anti aging face masks in details. Right from the ingredients you need to prepare these anti aging masks to its application and benefits of using these masks in fight signs of aging. If you are seriously looking for ways to fight aging skin issues, then these homemade anti aging remedies can help you surprisingly. There are several aging symptoms of your skin like the wrinkles, fine lines, dullness, loosening of your skin etc. which at times make you look a few years older than your actual age. In fact, in many cases, these aging spots start to occur from quite a young age. This may be due to several factors like some chronic illness, excessive pollution, using too much of harsh makeup, lack of proper skin care routine, unhealthy diet and practices etc. While illness is something which needs doctor’s advice, you can easily avoid the other problems if you seriously want to. And, if you do take proper care of your skin, your skin will breathe and will be flawless like a baby’s skin. There are different skin care routines depending on the skin type and also it changes with seasons. But to fight skin aging spots, there is a particular set of ingredients that gives maximum benefits. Of course, you may do little changes in combining other ingredients as per your skin type. So, are you ready to fight skin aging spots using homemade anti-aging face masks? I hear you saying yes, so let us start with the top homemade anti-aging face masks that you must make at home and apply to fight skin ageing issues. Who does not want to look young even when he/she is in his/her middle age or slowly nearing old age? Well, that is a compliment and everyone desires for it. Thankfully, there are natural remedies that can help you fight skin aging symptoms naturally and easily. Listed below are the top 10 homemade anti aging face masks that you can easily make at home using commonly available ingredients. By making these anti aging face masks and applying it properly, you can get desired benefits easily and for a long time. The first ingredient to make anti aging face mask at home that I want you to try is banana. Bananas are not just nutritious fruits that are good for health but if they are used in proper ways on your skin, they can help you fight the aging skin marks quite effectively. It is mainly the presence of the Vitamins A and E in banana that does the magic of removing the wrinkles and the fine lines on your face. The banana face mask is extremely rejuvenating which keeps the skin smooth, even, glowing and helps to battle dry skin and pigmentation issues as well. Moreover, bananas are the perfect moisturizers for your skin and hence I want you to try it once and see the results for yourself in fighting skin aging signs. 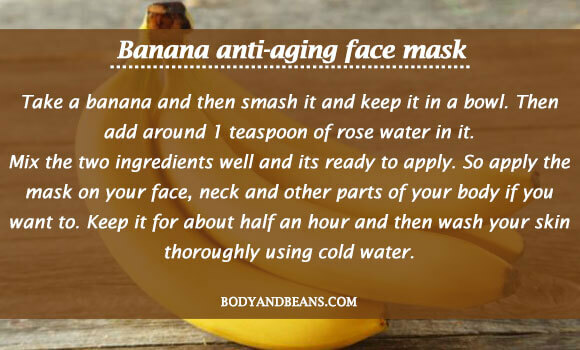 Making the banana anti-aging face mask is super easy. You just have to take a banana and then smash it and keep it in a bowl. Then add around 1 teaspoon of rose water in it. Mix the two ingredients well and its ready to apply. So apply the mask on your face, neck and other parts of your body if you want to. Keep it for about half an hour and then wash your skin thoroughly using cold water. After that, pat it dry. This is a great remedy and repeating it on alternate days will give you excellent results. However, there is another banana face mask recipe that you may try out. Here, you need to add fresh heavy cream, organic honey and little oat flour to the mashed banana. After mixing all of these, you must apply the paste on your age marks (make sure your face is clean). Keep it for 30 minutes and then wash off. One of the other homemade anti-aging face masks that are safe for almost all skin types is the coconut oil face mask. Coconut oil hydrates your skin and keeps your skin smooth, firm and free of any aging masks. It is the perfect remedy which also helps repair your skin. 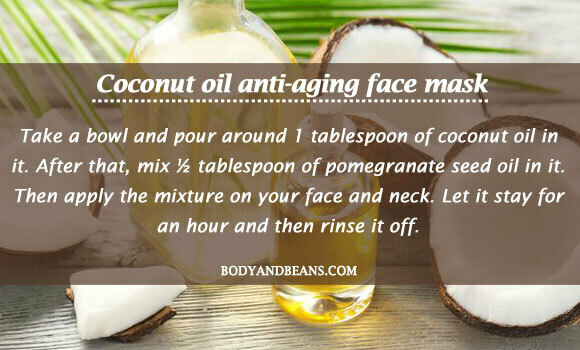 Moreover, using the coconut oil anti-aging face mask not just helps fight your aging skin symptoms but it is also great in getting rid of skin tan. You will yourself feel the rejuvenating glow once you start using coconut oil anti-aging mask. If you want, you can add a little pomegranate seed oil along with it as it will manifest the benefits and will heal your skin faster. Take a bowl and pour around 1 tablespoon of coconut oil in it. After that, mix ½ tablespoon of pomegranate seed oil in it. Then apply the mixture on your face and neck. Let it stay for an hour and then rinse it off. This is an amazing face mask and you can use it daily as a part of your skin care routine. Avocado has many benefits with its anti-aging properties being one of the best gifts to us. The vitamin E present in it is extremely good for your age spots. Moreover, it also contains several other antioxidants which are the proper food for your skin. They make the skin healthy and younger looking fighting all of the aging symptoms like wrinkles, fine lines, loose sagging skin etc. In fact, studies have already shown avocado to possess anti-inflammatory properties and to be exceptionally good for dry chapped skin. 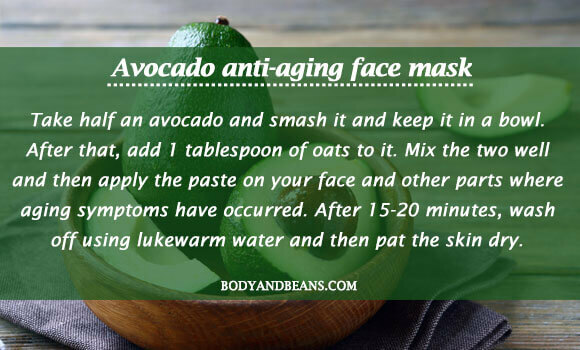 Hence, the avocado anti-aging face mask is a must try for you. Take half an avocado and smash it and keep it in a bowl. After that, add 1 tablespoon of oats to it. 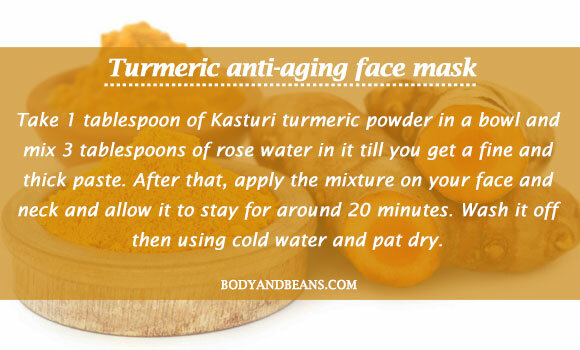 Mix the two well and then apply the paste on your face and other parts where aging symptoms have occurred. After 15-20 minutes, wash off using lukewarm water and then pat the skin dry. For best results, you can apply this enriching face mask 2-3 times on a weekly basis. 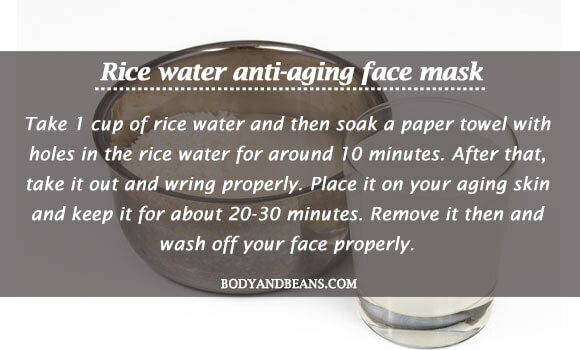 Many may not be aware of it but the rice water face mask is great in fighting the skin problems specially the skin aging marks. The main reason behind it is the presence of the flavonoid compounds which fights skin aging. The rice water face mask keeps your skin firm and tightens it and does not let it sag. After few usages, you get a younger and youthful looking skin. Take 1 cup of rice water and then soak a paper towel with holes in the rice water for around 10 minutes. After that, take it out and wring properly. 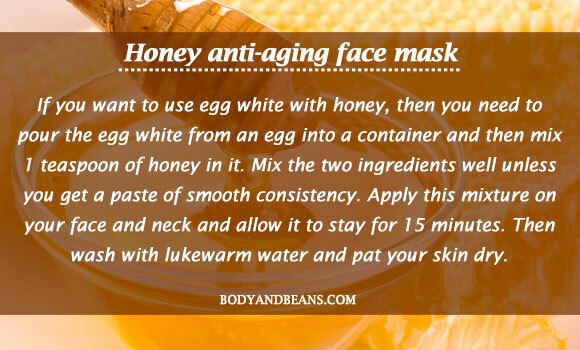 Place it on your aging skin and keep it for about 20-30 minutes. Remove it then and wash off your face properly. You can do it on a daily basis to get faster results. We all are aware of the therapeutic potential that cucumber has and fighting the age spots is just one of the benefits it gifts us with. The enzymes present in it keep your skin youthful and bright. They also accelerate the new cell renewal process in your skin and repair any damage quite fast. Cucumber is also a great source of silica which is a mineral having the potential of holding the connective tissues of your skin tightly. The high content of water in it also keeps the skin properly hydrated and helps you solve dry skin issues. It also has the ability to cleanse your skin off the impurities and make you look lively. 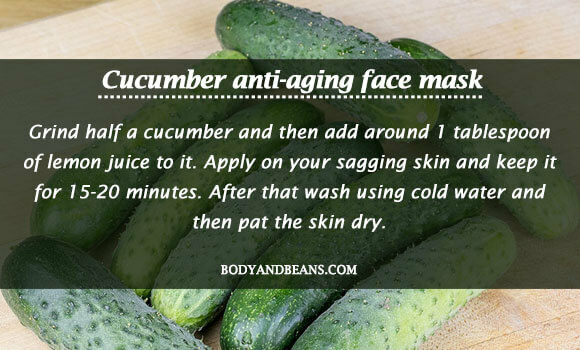 In general, the cucumber face mask is very soothing and besides fighting the age spots, it removes skin tan, dark circles and gifts you with a fresh, healthy and rejuvenated skin that you desire. So, it is a must try for you all. Cucumber is itself very skin friendly and nourishing but if you want to make your skin look brighter and livelier then I would suggest you to use lemon juice as well. The paste will be just perfect as it will fight the aging signs but not make your skin too dry or too oily. Grind half a cucumber and then add around 1 tablespoon of lemon juice to it. Apply on your sagging skin and keep it for 15-20 minutes. After that wash using cold water and then pat the skin dry. This remedy can be used daily for effective benefits. Turmeric is one of the oldest ingredients that man has used in treating various health and beauty problems. Now, you can use it to get rid of your aging skin spots. The main reason I recommend it to you is because it has the potential to remove the dullness of your skin which is otherwise one of the symptoms of aging skin and make it younger looking and lively. It is mainly the curcumin present in turmeric which as per studies does the magic and gives protection from several skin diseases. Turmeric is also antimicrobial in nature which helps you fight the various infections and other skin troubles that accompany with age or at times occur prematurely. So, the turmeric face mask is one of the best homemade anti aging face masks that not only fights skin aging signs but also blesses you with a skin that is in general healthy. Take 1 tablespoon of Kasturi turmeric powder in a bowl and mix 3 tablespoons of rose water in it till you get a fine and thick paste. After that, apply the mixture on your face and neck and allow it to stay for around 20 minutes. Wash it off then using cold water and pat dry. This is a great face mask and you can use it every alternate day for maximum benefits. The beneficial role of aloe vera in our lives is not unknown to us. But did you know that you can also use this magical ingredient to get rid of your skin aging spots? Well, among all the other benefits of aloe vera, it is especially beneficial for your skin, and it is safe for most of the skin types. Aloe vera is extremely healing, soothing and rejuvenating for all the skin types. It prevents the damage of the collagen and helps to inhibit the wrinkles from appearing. In fact, studies have already shown aloe vera gel to cause significant improvements in wrinkles and elasticity in photoaged human skin. So, if you will use the aloe vera face mask, you will get rewarded with a youthful looking flawless skin free from all the aging marks. 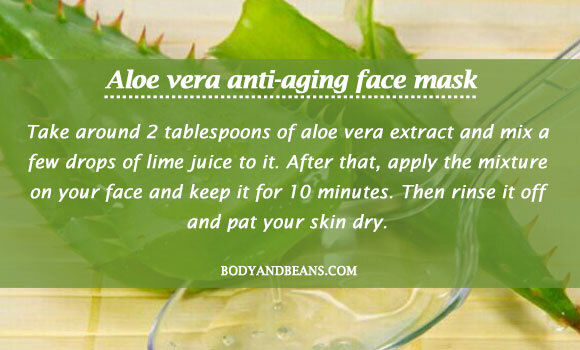 Take around 2 tablespoons of aloe vera extract and mix a few drops of lime juice to it. After that, apply the mixture on your face and keep it for 10 minutes. Then rinse it off and pat your skin dry. You can apply this healing mask on a regular basis to get the maximum benefits. 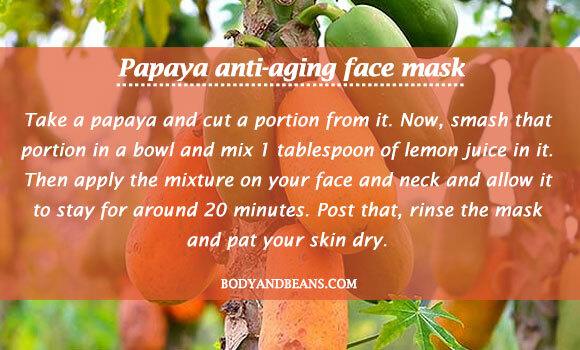 One of the other homemade anti-aging face masks worth trying is the papaya face mask. Papaya is as it is, very nourishing and moisturizing for your skin and is ideal for treating dry and rough skin. It is the papain content in papaya that causes skin renewal by getting rid of the dead skin cells, accumulation of which causes lot of acne, pimples etc. on the skin. In other words, papaya lets your skin breathe. It also gives your skin protection from the free radicals and helps in the retention of the elasticity of your skin. Papaya is quite skin friendly and is good in treating aging marks and adding a little of lemon juice with it increases the good effects. Take a papaya and cut a portion from it. Now, smash that portion in a bowl and mix 1 tablespoon of lemon juice in it. Then apply the mixture on your face and neck and allow it to stay for around 20 minutes. Post that, rinse the mask and pat your skin dry. Do this every day for the amazing results. 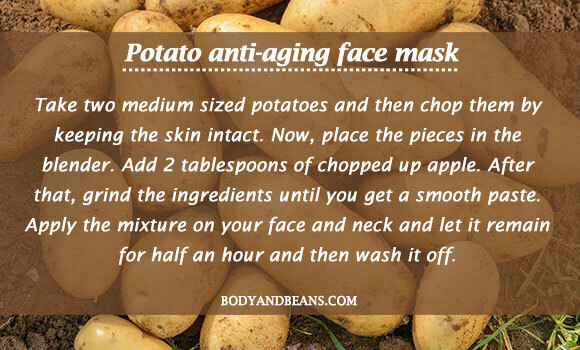 The other homemade anti-aging face mask great for most skin types is the potato face mask. Potato is certainly one of the most readily available ingredients at home and so this remedy can be used whenever you feel like. Potato has mild bleaching abilities which help in the brightening of the skin naturally and removing any kind of dark spots from it. It also lightens the wrinkles and tightens your loose skin. Proper usage of the potato face mask will also help in treating sun burns and improve the overall texture of the skin. It is also a good way to keep the skin clean and healthy. You need to take two medium sized potatoes and then chop them by keeping the skin intact. Now, place the pieces in the blender. Add 2 tablespoons of chopped up apple. After that, grind the ingredients until you get a smooth paste. Apply the mixture on your face and neck and let it remain for half an hour and then wash it off. You may then wipe your face and neck little bit with ice. This is optional and you may avoid it in case you are prone to cold and cough or bronchial issues etc. 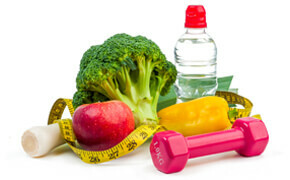 Using the remedy 2-3 days in a week will give you satisfactory improvements. Be it nourishing your skin to moisturizing it to fighting dry skin issues, honey is a wonder ingredient. Honey has been associated with beauty treatments over the ages. Honey is also great for loose sagging skin and regular usage of it helps to get rid of the fine lines and the wrinkles. The honey mask also helps to lighten skin tan and leave a natural glow on your skin. It is also effective against acne, bumps, redness etc. Honey itself is great for your aging skin but when you add either egg whites or orange juice to this then the results are just amazing. If you want to use egg white with honey, then you need to pour the egg white from an egg into a container and then mix 1 teaspoon of honey in it. Mix the two ingredients well unless you get a paste of smooth consistency. Apply this mixture on your face and neck and allow it to stay for 15 minutes. Then wash with lukewarm water and pat your skin dry. Put any mild moisturizer after that. In case you decide to use orange juice along with honey, then you need to take 1 teaspoon of honey and then add few drops of orange juice in it. Mix the two well and then apply the paste on your age spots. Keep it for 20 minutes and after that, wash your face with lukewarm water and pat it dry. Both the honey anti-aging face packs are great for your skin and if you use any one of the two 2-3 times on a weekly basis then your aging skin symptoms will be gone. Our skin is exposed to too much of harshness on a daily basis. Be it due to the excessive pollutions or harsh makeup or adverse climatic changes, these factors often make it dull and lifeless even when you are young. Psychological problems, illness, excessive stress also affects our skin a lot and cause premature aging symptoms like wrinkles, fine lines etc. But despite all of these, if you know how to take care of your skin then you will be able to recover the lost vigor of your skin easily. In fact, even if you are in your middle ages and slowly advancing old age, you can still keep your skin beautiful, if not like a child but at least I guarantee you that your skin will not look your age. That is the power of some of the natural ingredients which if you know to use properly and dedicatedly over the time, then you will be blessed with a flawless young-looking skin for long. Sometimes, loving yourself dearly can make a huge positive impact on your life. Similarly, if you love your skin, you will care for it and protect it from all the harshness. And, what better way to protect your skin and fight the aging marks naturally using the homemade anti-aging face masks. I have talked about 10 of the most efficient homemade masks which are safe, cost effective and are very easy to make and use at home. You must try some of these masks and experience the benefits for yourself. However, besides using the homemade anti-aging face masks, you must also maintain discipline in your life, get rid of unhealthy foods, smoking, too much alcohol consumption etc. Also, keep yourself as much low profile as possible especially when it comes to using make ups. Drink lots of water and keep yourself hydrated. And, when you are out in the sun or if the outside air is polluted, then try to cover your skin as much as possible. I am sure that if you work diligently on your skin, your efforts will certainly not go in vain. How do you take care of your skin? How do you fight the signs of aging skin? Until next post, do take care of yourself. Be good, look good always!